This is a month dedicated to raising the awareness of people with impaired mobility. More than 2 million adults experience impaired mobility. As the population ages, the number of people with disabilities is predicted to increase by 22% over the next 10 years, and 1 in 4 of people who are 20 years old today will become disabled before they retire. 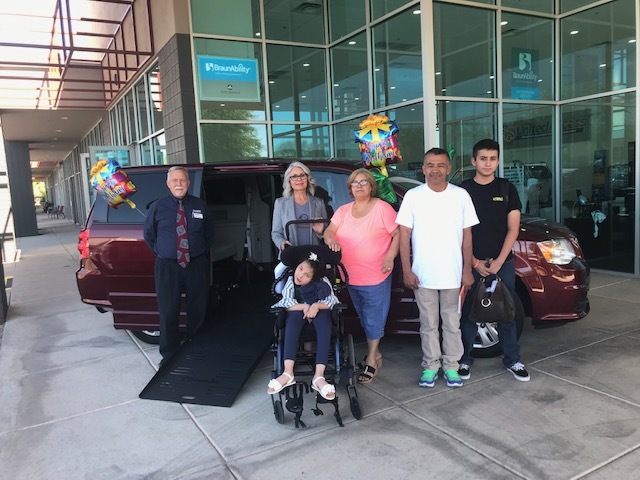 At United Access, we believe your mobility is your key to independence, that’s why we have been dedicated to providing wheelchair accessible vehicles and adaptive driving equipment to our customers for more than 20 years. To learn more about how we can help you with your mobility needs, contact us at 877-501-8267 and let one of our local Mobility Specialists get you back on the road. In honor of Mobility Awareness Month, the National Mobility Equipment Dealers Association (NMEDA) is bringing accessibility to the airwaves this year with a one-hour syndicated TV special called, Changing Lives: The Road to Independence. The show features the stories of Kenny, a former New York City police officer and military veteran, and Jordan, a mom with three children, who both lost mobility from car accidents. Tune in to your local station on June 3rd for this emotional and inspirational special that will change their lives forever.